I met Heather Shaffer four years ago when I traveled up to Rochester, New York to speak at a social media conference at Rochester Institute Of Technology. Heather had a cupcake bakery, and she sponsored the event with cupcakes. 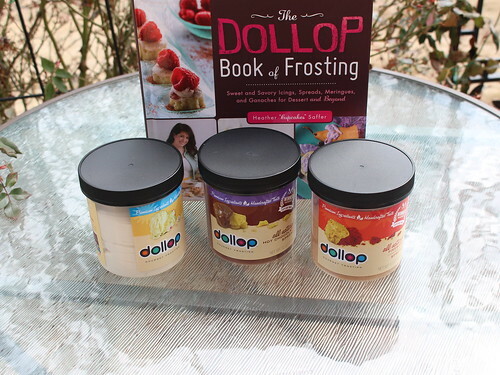 We have kept in touch and now she is a cookbook author (The Dollop Book of Frosting), and she had launched a line of frosting (Dollop Gourmet) that are available online and in Wegman's grocery stores. To say she is a success story is an understatement. I got some samples of the frosting, and I have yet to try all of them. The vanilla frosting is delicious. I ate it with a chocolate mug cake I made last week. The frosting is also good with pretzels.